The new Ergo handles for the Ideal-tek Micro-Shears line were designed with a user centered design (UCP) philosophy. 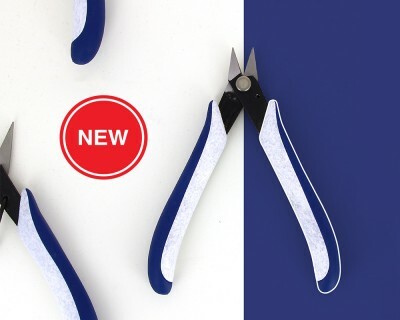 Ergo Micro-Shears are designed to maximize productivity while minimizing worker repetitive motion injuries. As current inventory is depleted for the following models 9100, 9200, 410, 420, 2175, 2193, LX, 175, 440, 9180, new enhanced Ergo Micro-Shears will be phased in with no part number change and no cost increase. For more detailed information please see our Ergo Micro-shear leaflet.